Danebank welcomes new enrolments annually in Pre-Kindergarten, Year 7 and Year 11. Entry to other year groups depends on availability. Step 1 - Submit an application. Parents interested in enrolling students at Danebank are encouraged to submit applications as early as possible, after the birth of their children. All applications must be in writing and address the criteria listed on the application form, including payment of the appropriate Application fee. Places in other years, including Kindergarten, may be offered based on vacancies that arise from time to time. Enrolments are managed by the Registrar. Phone (02) 9580 1415 or complete the form below. Danebank receives hundreds of Applications for Enrolment each year. We look forward to meeting new families and to assisting parents to enrol their children. Our enrolment procedures aim to provide efficient and helpful guidance to parents and to ensure that the schools’ policies are upheld. Step 2 - Waiting list. 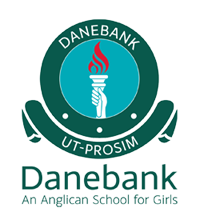 Danebank offers multiple programmes, both academic and extra curricular, to encourage student engagement at many levels and we seek to provide access to the school for as many students as possible. However due to the demand for places at the School, submission of an application should not be considered a guarantee of a position at any time. An Application is a registration of interest in attending the school and will be processed in the order that it is received relative to other applications. Therefore, if a place is not available at the time and year requested, and with the approval of parents, Danebank will continue to carry the application forward for future years until a suitable place may be available. a) Parents who submit applications will be placed on a mailing list to receive publications and updates about the school. b) Families will be invited to attend the school’s major Open Day and Autumn Fair held annually in May. c) Parents will be contacted around 12 months prior to the entry date requested to advise the next steps towards offers of enrolment. Students and parents/guardians will be invited to attend an interview with the Principal or one of the Senior Executive staff of the school prior to joining the School. The interview helps to establish that parent expectations and student needs are clearly compatible with the philosophy and offerings of the School and that the School has the capacity to meet those expectations and needs. Offers will be made following these interviews. Step 4 - Offer of a confirmed place. On receipt of a formal Letter of Offer, families have 30 days to accept the place. Acceptance is acknowledged by returning the Acceptance form with the required Acceptance fee. This fee is non-refundable. Parents’ acceptance of a place is acknowledged by letter with a receipt for payment of the Acceptance Fee. Families are invited to attend orientation events.